In July of 2012 Babesia odocoilei was determined to be the cause of death of a game ranched elk in central Saskatchewan. Another 10 bull elk on the farm were suspected of having died of this parasite within the previous few weeks but unfortunately autopsies were not performed to confirm the diagnosis. This was the first report of Babesia odocoilei in Canada. Babesia odocoilei is a single-celled parasite that infects and destroys red blood cells causing infected animals to become anemic, lethargic and to lose weight. The parasite is transmitted by ticks and to date the only species known to be a competent vector for this parasite is Ixodes scapularis, the blacklegged or deer tick, although Dermacentor spp. have been implicated in some cases. Ixodes scapularis is not endemic to Saskatchewan. Babesia odocoilei is endemic in white-tailed deer in the southern and eastern United States with prevalence exceeding 50% in some areas. Infections have also been reported in the north-central and north-eastern US. The parasite natural infects other cervid and bovid species and these infections are often fatal in elk, reindeer and caribou. To investigate this novel disease occurrence further, the Canadian Wildlife Health Cooperative (CWHC), Western and Northern Region, along with other researchers at the Western College of Veterinary Medicine (WCVM) initiated a study to assess the prevalence of infection in farmed and wild cervids in Saskatchewan, both prospectively, using ongoing submissions to our diagnostic lab, and retrospectively, using formalin fixed paraffin embedded tissues archived from diagnostic cases dating back to 1970. 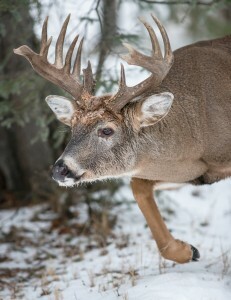 We first validated techniques and primers for a polymerase chain reaction (PCR) test specific for B. odocoilei and have begun the process of testing spleens from these cases. 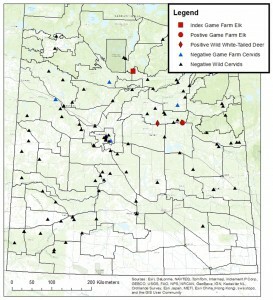 Although testing and analysis is not complete we have so far confirmed B. odocoilei infection in one other game farmed elk and in a wild white-tailed deer in the province (see map). Preliminary results have detected other positive cases but we are doing additional testing to confirm the results. This work has several important outcomes. First it has allowed us to develop PCR diagnostic tools to identify a disease agent which would not normally be detected during autopsy of an animal; anemia and weight loss would be observed, but B. odocoilei can only be detected with blood smears or by using PCR. These tests are not normally undertaken, especially if the disease is not thought to occur in the area. Secondly, we have determined this parasite occurs sporadically in the province but to date we have not identified any endemic foci. Since to our knowledge B. odocoilei can only be transmitted by Ixodes scapularis, a tick not native to Saskatchewan, it raises the question of how these animals are becoming infected. It is likely that B. odocoilei infected I. scapularis ticks are being transported to Saskatchewan on migratory birds. Previously researchers have shown that between 0.35 and 2.2 % of migratory birds carry these ticks, which translates to between 50 million to 175 million Ixodes scapularis ticks being dispersed across Canada each spring by migratory birds. 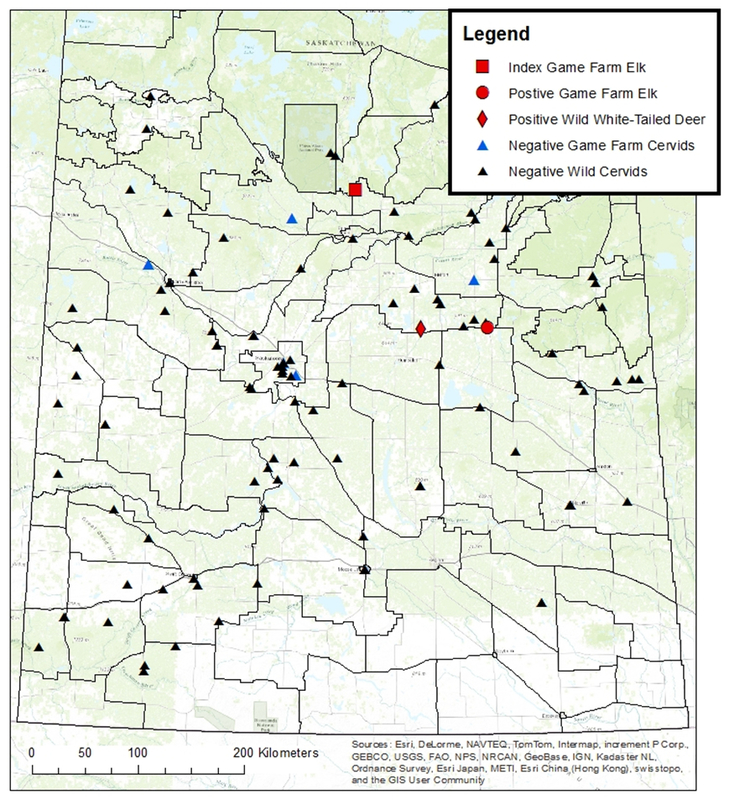 The sporadic occurrence of B. odocoilei infections in Saskatchewan cervids has interesting parallels to the sporadic occurrence of Lyme disease in the province, another disease that requires Ixodes scapularis for transmission. In this latter case the ticks present on migratory birds are infected with Borrellia burgdorferi , the bacterium responsible for Lyme disease. Finally, these cases are another example of the value of passive or scanning surveillance in detecting new disease occurrences and the value of access to affordable veterinary diagnostic services. 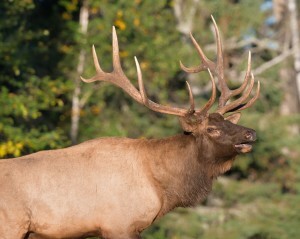 This discovery began with a veterinarian visiting a farm to investigate unexplained mortality and illness in some elk. A blood sample collected from a sick animal was submitted to Prairie Diagnostic Services, the domestic animal diagnostic laboratory at the WCVM, and the diagnosis was made by a clinical pathologist who recognized the parasites on a blood smear. As collaborators in disease surveillance, the CWHC was able to investigate this further by testing additional submissions from wild and domestic cervids which has allowed us to make an assessment of the prevalence and significance of this parasite. Ongoing submissions of wild and domestic animals for autopsy, along with archived samples, were critical to this step. With a new awareness of this disease, and with newly developed tools for diagnosis, we can monitor for changes in prevalence and geographic distribution of B. odocoilei infections, and by extension I. scapularis. These changes are projected to occur as a result of climate change and predicted warming of the Canadian prairies. Next story What Does the Bat Say?